"Yog-Sothoth knows the gate. Yog-Sothoth is the gate. Yog-Sothoth is the key and guardian of the gate. Past, present, future, all are one in Yog-Sothoth. He knows where the Old Ones broke through of old, and where They shall break through again." 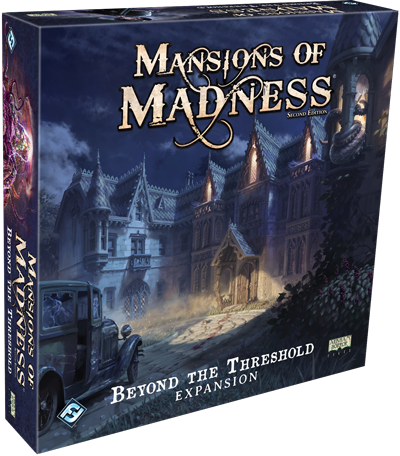 Pick up a copy of Beyond the Threshold at your local retailer or online through our webstore, then update your Mansions of Madness app to access the new scenarios, Vengeful Impulses and Gates of Silverwood Manor.